Edgar Negret studied sculpture at the Escuela de Bellas Artes de Cali (1938-1944). In 1946, he presented his first solo exhibition at the Biblioteca Nacional in Bogota, where he showed figurative plaster sculptures of mainly religious themes whose characteristics were so schematic and fundamental that they bordered on abstraction. In 1949, he traveled to New York to perfect his technique of metal assembly in the Clay Club Sculpture Center (today, the New York Sculpture Center). He continued his production within the limits of figuration and abstraction, using the media of metal and wire. After a brief return to Colombia, in 1951, Negret went to Europe and lived in Paris, Barcelona, Madrid, Majorca and Saint-Germain-en-Laye, until 1955. He established relationships with the main representatives of sculpture and abstract art who lived in the French capital, where his sculptural work in plaster became completely. In Majorca, between 1953-1954, he studied the work of local craftsmen who forged iron. 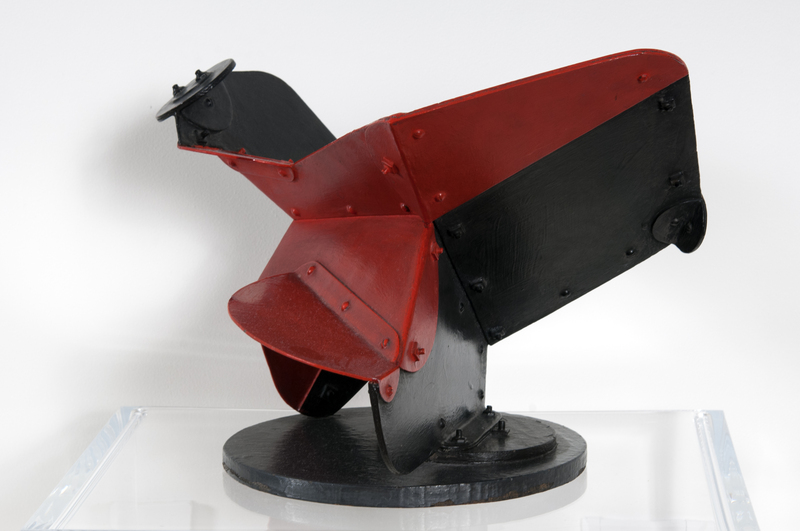 He made abstract sculptures in welded and painted iron, some of which suggested machines such as Construcción Acústica and Señal para un acuario. Negret settled in New York in 1956, remaining there until 1963. He studied the art and traditions of Native Americans in the western United States and also taught at the New School for Social Research. 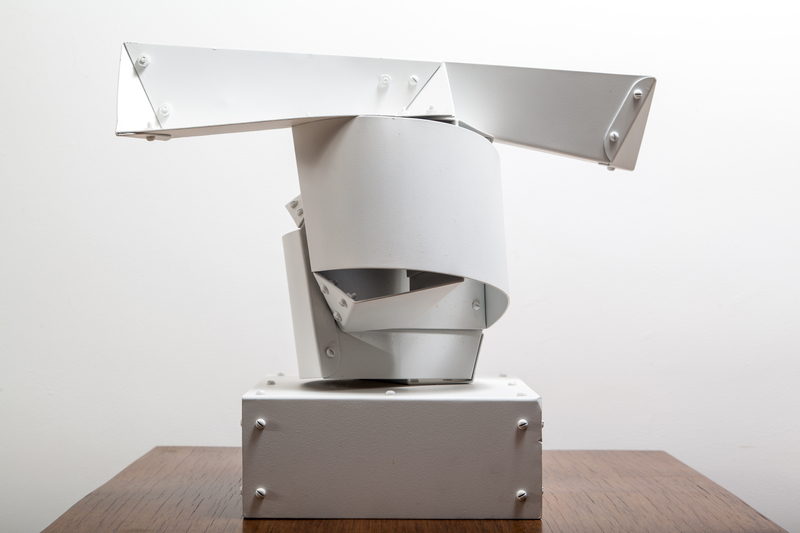 During this time he began his series Vigilantes, Aparatos mágicos and Eclipses, among others, in which his sculptural language was defined by the use of aluminum as the main material and nuts and screws for the assembly of the works’ parts. Geometric rigor and a flat chromatism limited to the colors red, blue, white and black also characterized these pieces. In 1963, Negret returned to Colombia. 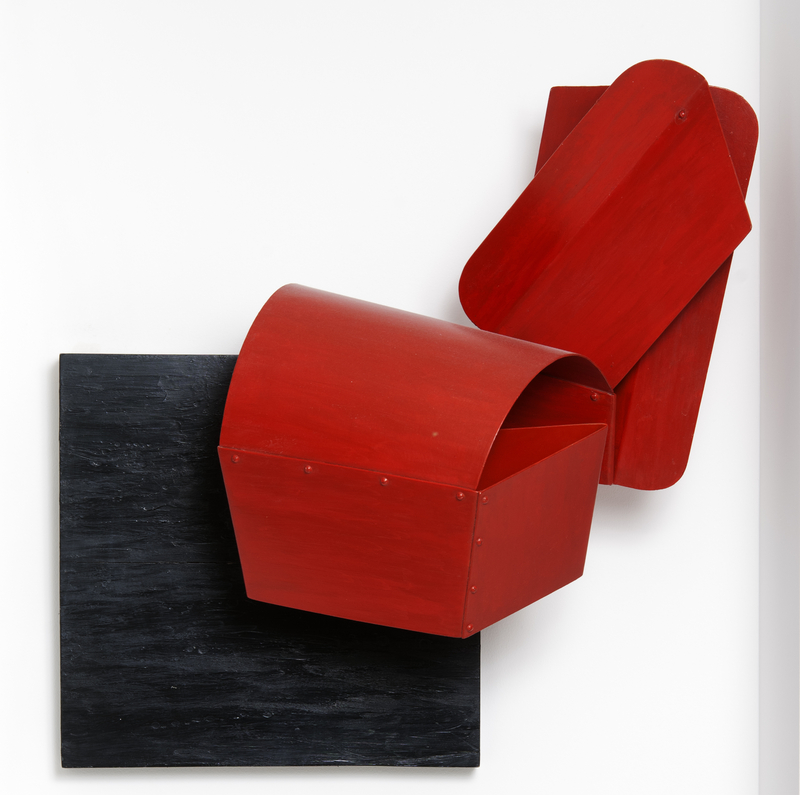 From then on, his sculptures, inspired by the local landscape, became more complex and exuberant in their structure, and their color, always flat, was reduced to single hue in each piece. He received numerous awards at the national and international level, including first prize at both the 15th Salón de Artistas Nacionales (1963) and the 19th Salón de Artistas Nacionales de Colombia (1967). In this period he created several of sculptures such as Navegantes (1966), Puentes (1966), Templos (1968), Escaleras (1973), and Metamorfosis (1980) and he made monumental works, including Dinamismo (Banco Ganadero de Bogota, 1974; today, Plazoleta de la Procuraduría de Bogotá), Vigilante (Plaza de Armas, Palacio de Nariño, Bogota, 1978), Totem (El Tiempo, Bogota, 1979), Metamorfosis (Building Nova Tempo, Medellín, 1982), and Metamorfosis (Sala Beethoven, Instituto de Bellas Artes, Cali, 1982). Traveling to Peru in 1980, Negret visited the Inca ruins of Cuzco and Machu-Picchu, an experience that led to he called his “incaica stage” (1982). The sculptures of this phase tended to be flat, polychromatic, and of simple symmetrical forms. Among the most important are Machu Picchu (1982), the series Sol (initiated in 1985), La casa de las serpientes (1985), the series Reloj andino (1985), the series Quipus (begun in 1986), Titicaca (1986), and Bandera Inca (1987). In 1985, in the house that belonged to his family in Popayán, Negret opened the Museo Casa Negret, which houses many of his works and documents related to his career. Among his last public monuments are Cascada (Parque El Virrey, Bogota, 1988) and Horizonte (Avenida El Dorado, Bogota, 1994). In his later years, health problems kept him from creating art.